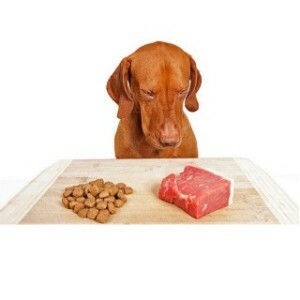 Does your pet have food allergies? Does your dog have constant diarrhea no matter what food you try? Does your cat suffer from chronic sneezing or asthma? Is your pet always scratching or have constant ear infections? Your pet may have a food allergy. At Williston Park Animal Hospital we can help manage your pet’s allergy without a prescription diet. Keep reading to see how we can help. Williston Park Animal Hospital’s Dr. Hardoon tells the story about her own dogs, two of which have food allergies. “When my now 13 year old dog was a puppy he had diarrhea no matter what food he ate” says Dr. Hardoon. “At that time the recommendation by my colleagues was to try prescription diet, but we tried every prescription diet and he still had diarrhea; it went away with medication; but as soon as we stopped medication it would come back, and his blood test and stool sample were negative for anything that would cause this. I was not going to keep him on medication for the rest of his life without even knowing what was wrong” she says. This is how Dr. Hardoon’s journey into raw and home cooked diets began. She continues, “I started researching diets and nutrition as the prescription diets and most of the over the counter diets contained a lot of by-products and artificial ingredients, I thought … there must be a more organic and holistic way to feed my dog.” Dr. Hardoon stopped feeding her dog kibble and started by giving him a simple home cooked diet of just a few ingredients to try to figure out if he had a food allergy. “As soon as I removed wheat and corn from his diet – this included all of his treats too – he started having normal stool without any medication”. Now, 13 years later Dr. Hardoon has helped many of her patients overcome food allergies without prescription diets. To learn more about finding a healthier diet for your pet and how you can resolve your pet’s food allergies contact Williston Park Animal Hospital at 516-248-1489 to set up an appointment or consultation.